3166 - Photo: Nigel Petre Collection. 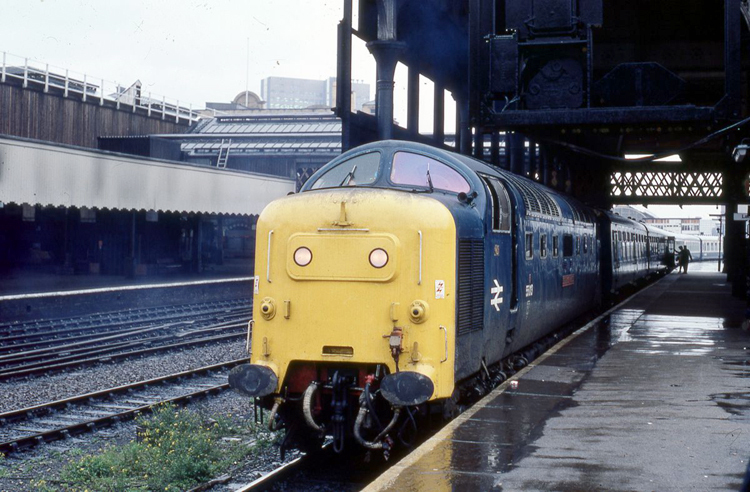 55013 (D9013) "THE BLACK WATCH" contemplates a trip via the Pennines to York at Manchester Victoria on the 24th October 1980 with the 1E99 13:05 Liverpool - York service. 24/10/80 - 1E99 13:05 Liverpool - York. Deltics at Work: Page 112.